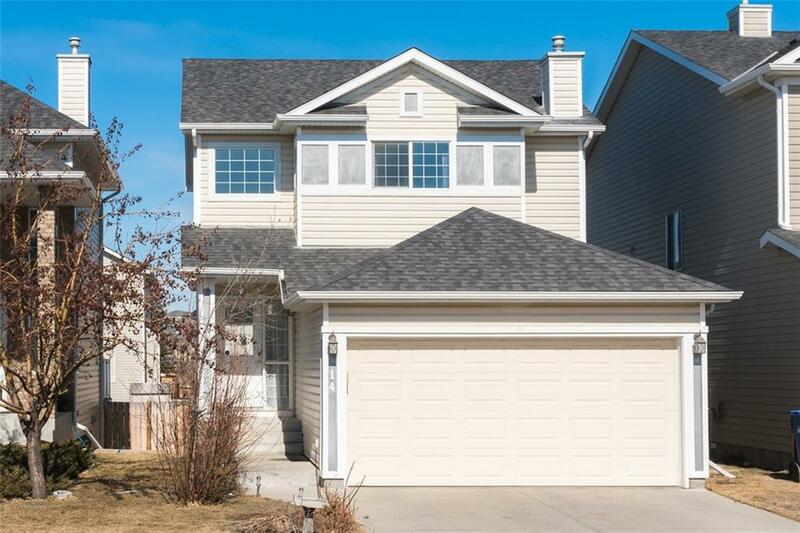 DESCRIPTION This recently updated 2 storey home, with nearly 1600 ft2 of developed space, has been freshly painted and had new flooring installed throughout the main floor. It is ready and waiting for you to move straight in! Three bedroom up with a renovated main bath keep your family close and the family room in the partially developed basement adds extra space to spread out and keep toys out of sight and out of mind. On the main floor, a well-appointed kitchen with stainless steel appliances is center-stage. It is well lit with beautiful windows and gives access straight out to the back deck and spacious back yard. This is the perfect place to spend those summer evenings entertaining guests during BBQ season. The double attached garage and undeveloped space in the basement provide ample storage and for those keen to add their own touch, the roughed in bath downstairs gives you a great opportunity to get creative with the basement development. Tremendous value in a great community.